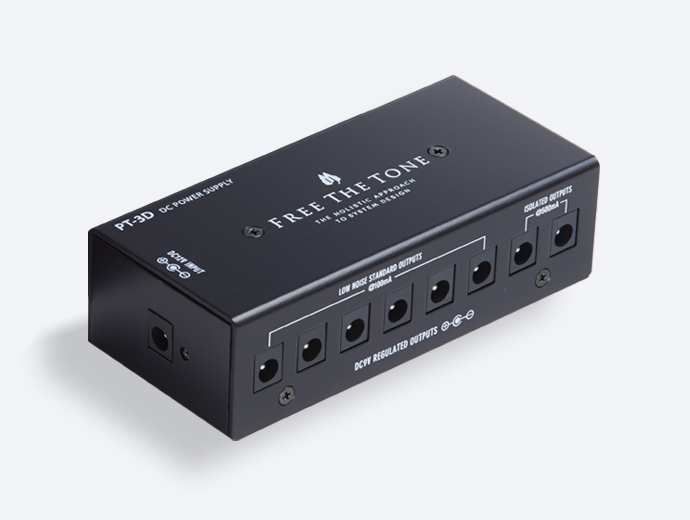 In order to achieve our concept of ideal sound, we began by restructuring all of the components in an effects unit based on our expertise and extensive experience cultivated and accumulated over the years, and our innate sense of tone, and ultimately arrived at our Integrated Series which was started as FREE THE TONE’s 15th anniversary project. The first release in this series is a pair of overdrive pedals. We sought extended dynamic range, brilliant overtones, long sustain, quick but fat tone, and of course, the most important thing, pure and clean overdrive sound. In order to realize all of these things, we thoroughly investigated various electronic circuits and parts and all of the factors related to sound such as magnetic fields and/or resonance. We also employed the best quality materials we could find for the case and knobs. After a few years and many prototypes, we finally completed the STRING SLINGER and FIRE MIST. The String Slinger and the Fire Mist have a LOT of headroom and volume available. With the drive at zero you can get a good cleanish boost, the pedals voicing tightening up the low end and bringing the mids forward. This works well to push the amp into overdrive. Backing down the level and then turning up the drive, there’s definitely plenty available but even with the drive at maximum there’s still good note definition when playing chords and/or rhythm stuff. Backing off the guitar volume, they both clean up really well which would be important for players who get most of the tonal variations by using the guitars volume control. Both pedals are really responsive to playing dynamics. Tonally the overdrive is kind of thick sounding. The pedals are very harmonic and touch sensitive. In our quest for ideal overdrive sounds, we usually recall the American Blues sound symbolized by the classic Black Face period and the British Rock sound as represented by the golden “Plexi” panel. The FIRE MIST renders edgy, traditional British Rock sound with outstanding response. New HTS (Holistic Tonal Solution) Circuit: The Integrated Series device implements our renewed HTS (Holistic Tonal Solution) circuit. Unlike conventional buffer circuits, this newly designed circuit brings out individual sound characteristics of your guitar and amplifier to the utmost while providing impedance conversion and establishing both the ideal sound and low noise. 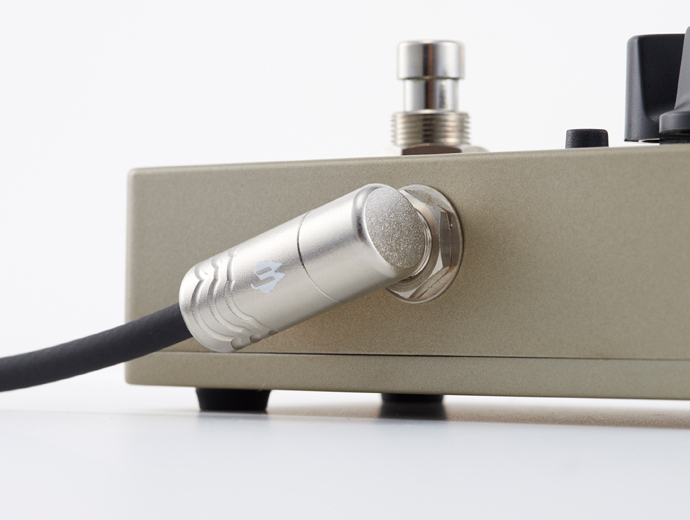 FREE THE TONE Custom Knobs: We developed a custom turned brass knob to reduce vibrations in the shaft and wiper of the semi-fixed resistor used for each control and suppress harmonic components that might adversely affect sound. Casing Design*: All of the parameters of a case -dimensions and plate thickness of the case – affect overdrive sound. We employed the best size case for our Integrated Series to provide the ideal sound. 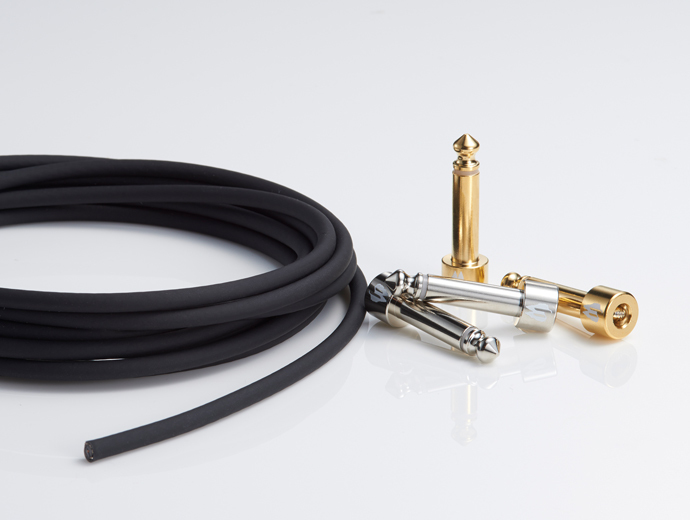 Its weight has also been optimized to deliver the best sound. FREE THE TONE’s Unique IC Tone Plate: This metal plate for damping and shielding covers the top of an IC chip to make the most of the characteristics of the IC and to prevent noise contamination to the utmost. Passive Tone Circuit: We adopted a passive tone circuit that minimizes the phase shift in guitar signals. ＊Because a pedal’s case provides a signal ground (0 V) and shielding, changing the material, size and thickness of the case can change the sound of the pedal. 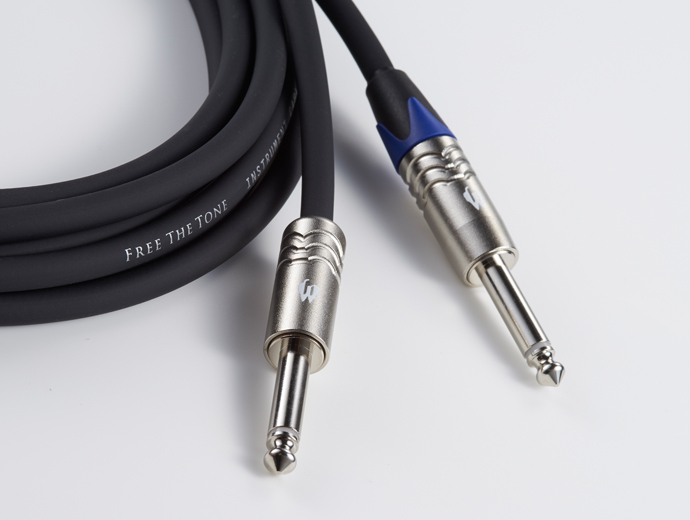 The capacitance between the case and any signal lines inside the case can also affect sound quality.